Love Live! 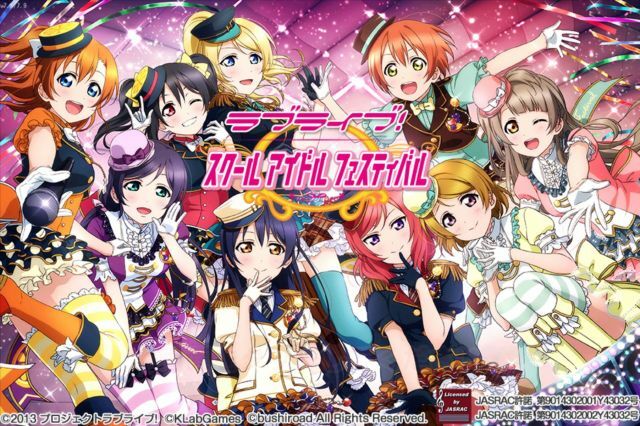 School Idol Festival (or simply called Love Live SIF) is a rhythm game for the android and iOS published by Bushiroad and Klab was initially released last year in its original Japanese version. An English version was made available on May 12, 2014, to cater the franchise’s English-speaking fans. Love Live! is a Japanese multimedia project developed in cooperation by ASCII Media Works' Degenki G's Magazine, the music label Lantis, and the anime studio Sunrise. So far, the project has successfully released music CD's, AMVs (anime music videos), an anime series now running two seasons, a manga adaption, a card game and now a video game. The game is targeted towards the fans of the series, anime enthusiasts and basically fans of rhythm games.The game is free to download and will require constant internet connection. Note: This guide is for the English version of the game. The Japanese version is ahead by a year so most features there are slowly being implemented in this version.